First off, I headed to BlackBerry’s App world and had the Smarter Agent app sent to my email. In seconds I received an email for the 866KB file in version 3.203 and one click on the Smarter Agent BlackBerry app and the download was complete in 30 seconds. Next, it found my Verizon phone number and took me to a menu where I could run the app, read some reviews, recommend the app or see some screenshots. I chose to run the app and it took me directly to the main menu in just a few seconds. 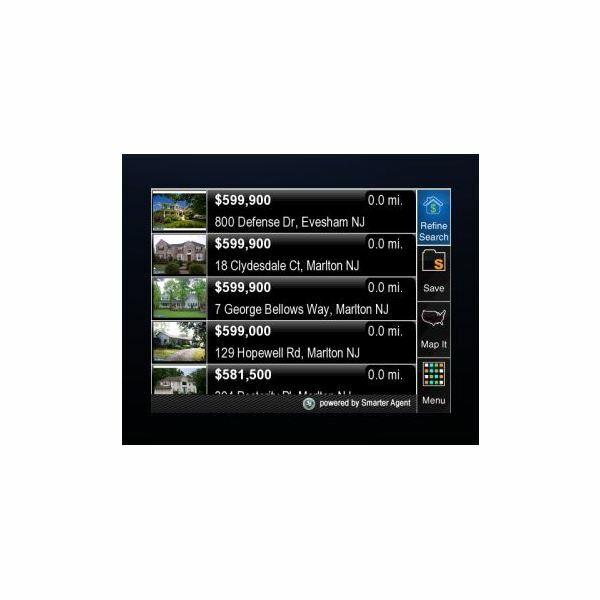 Here on this Smarter Agent BlackBerry app, I could search many ways, by GPS, city, state, MLS listing number, or zip code. Because I live in a rural area in New Mexico the GPS feature didn’t work, but when I searched by state, an alphabetic listing pops up which represented cities and towns in New Mexico. I clicked on T for Taos. 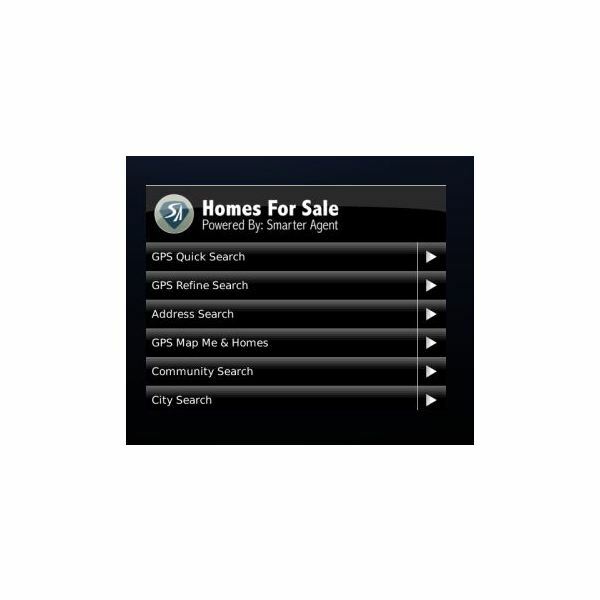 Next it asked me what I was looking for; condo, townhome, single or multi-family home or land or you can choose the “any” to browse all the listings. 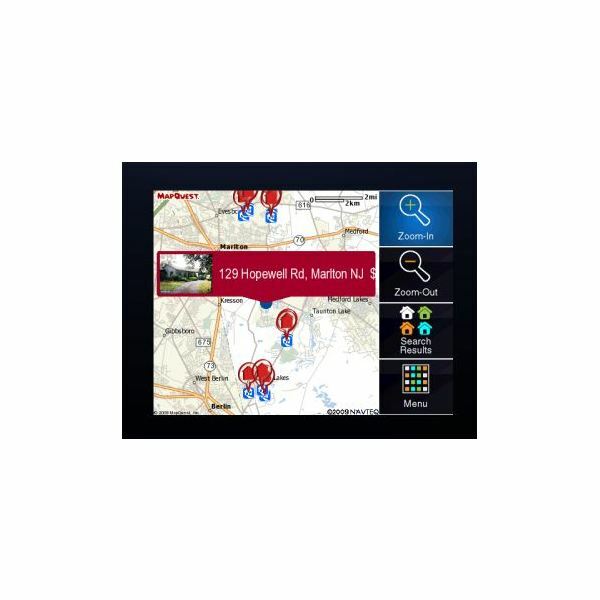 The listings are displayed with clear photos from highest to lowest in price and from this menu you can choose to refine a search, save or map a listing or use the handy main menu tool to start over. I clicked on the $4 million dollar listing (I can dream right) and while it loaded I did have to watch an ad from Bank of America first. Once the listing came up the photos (14 were available) were very clear, it offers square footage, number of beds/baths, stories and a handy tool to call the listing agent if I want to see the home. You can also get what the property taxes are estimated to be and a sample mortgage example at what always seems to be a very low interest rate from Bank of America. The only thing I didn’t like is if you choose to view more photos or call to see, that Bank of America ad keeps popping up. To view the next feature, I hit main menu and guess what? BofA again! The Recently Sold and Apartments for Rent features work much the same as the homes for sale feature. Again I browsed by state (New Mexico) and chose the letter “A” and searched Albuquerque. Here, you can also search by type of home and minimum or maximum price. 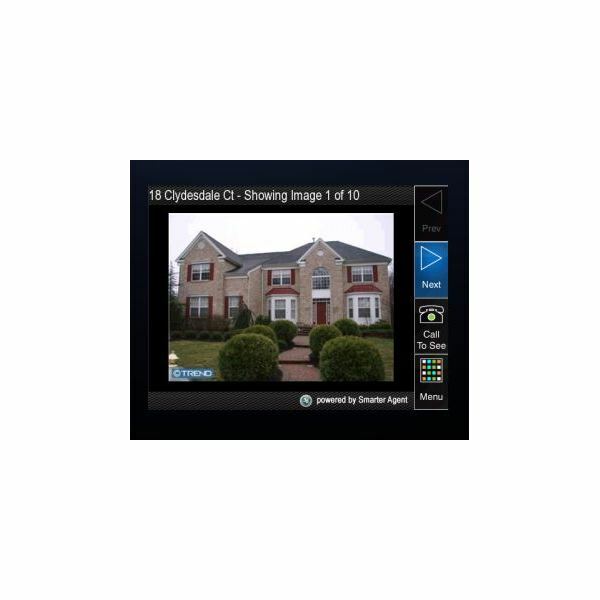 Once you refine your search, it offers listings with sale date and amount, but no photos. Again, you can save, send to a friend via text or email or map the listing. Rentals also show photos, number of units available, beds/baths, square footage and the rent ranges for each rental community. The Broker Showcase is a handy search by broker and includes Century 21, Coldwell Banker, ERA, Better Homes & Gardens, and Sotheby’s. Again you can search by GPS, address search, listing number, community, city, state, or zip code and save your favorites. The Smarter Agent app does warn the data submitted is from individual listing agents and may vary depending upon amount of information provided but this is a great tool for a realtor looking for homes for a buyer. The Get a Mortgage feature leads you to one lender; Bank of America and you can call a loan specialist, ask for one to email you, estimate payments, read about tax benefits, and even pre-qualify for a loan. It would be nice if you had a choice of more than one lender or maybe a HUD home lender; but all you get here is BofA; which takes a long time to load. The Send to a Friend feature simply allows you to text the app to a friend. This free app is all it’s cracked up to be and is a handy real estate tool for home buyers, sellers and realtors. The only downside I didn’t like was the ever-present ads from Bank of America, but with all the features this app is packed with, it’s really not that bothersome. This Real Estate Powered by Smarter Agent BlackBerry app works on all BlackBerry models and carriers including Verizon, T-Mobile, Sprint, RIM, AT&T, AllTel and NexTel. You can get this free app here.